Last friday Novi Ritm participated in a training made within one of the projects at Novi Ritm, the 1325-project. 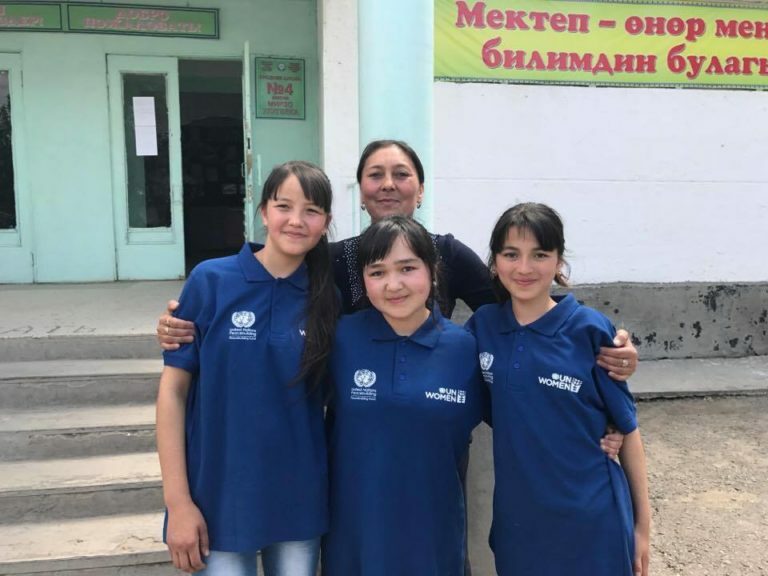 The training were held in a school in Aravan, about 30 minutes from Osh city. 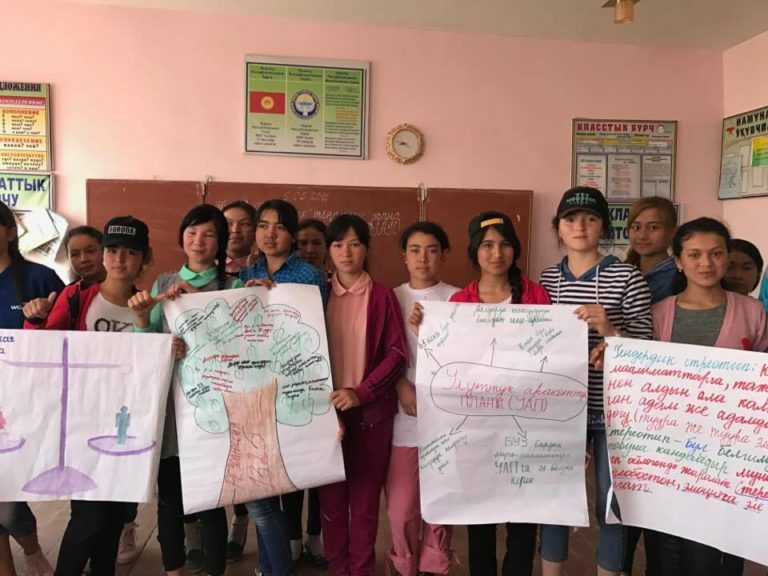 Some weeks ago Novi Ritm arranged ”trainings of trainers” and the next step for these young trainers have been to implement a mini project in their local context. 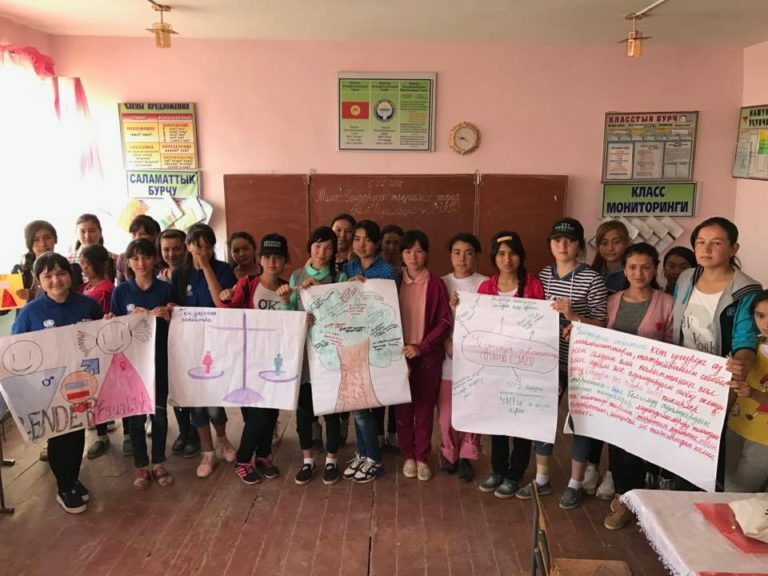 Three girls, Naila, Zarnigor and Dilyora facilitated the training which began with a discussion about gender stereotypes, social constructed and biological gender, UN resolution 1325 and some games. You could really see that the trainers had used the information they recieved from the ”trainings of trainers” session. They used interactive methods from a workshop material they got from Novi Ritm and presented the information in such a good way, they had really understood what the project is all about! The trainers together with one teacher from the school. After this the girls that had participated in the training, played soccer together which also was very well organized. I really liked the concept of training together with an activity such as soccer in the nice weather! 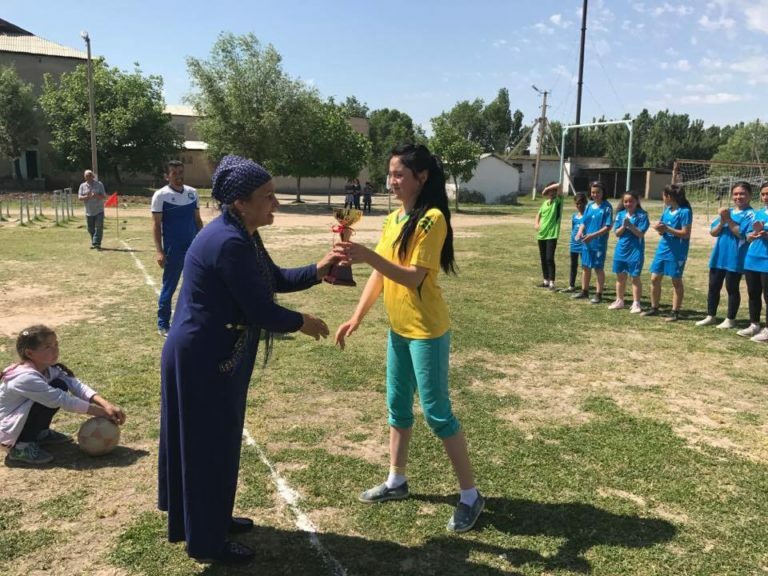 The trainers had bought t-shirts for the teams, a trophy for the winning team, they had a referee and their sports teacher explained the rules. The day finished with some coffee and cookies together.